Walter Trier, the son of a leather-glove manufacturer, was born in Prague on 25th June 1890. He was a student of the Industrial School of Fine & Applied Arts (1905-1906) and the Munich Academy (1909), where where he studied under Franz Stuck. When he was 19 his first drawings appeared in Simplicissimus. Trier moved to Berlin and contributed cartoons to the Berliner Illustrierte Zeitung, Die Dame and Uhu. He also illustrated Emil and the Detectives, the first book by Erich Kästner. His cartoons also appeared in Kladderadatsch and Simplicissimus. In the 1920s Adolf Hitler and the right-wing press accused Simplicissimus of being under the control of the Jews. 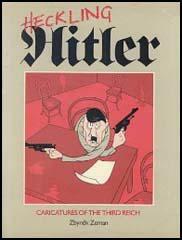 The Nazis were especially hostile to the cartoons of Trier and Thomas Heine. When the Nazis gained power in 1933 stormtroopers arrived at the offices of the journal and warned against the publication of anti-Hitler cartoons. When left-wing writers artists began to be arrested, Trier and Heine left the country. Trier moved to England where he worked for Lilliput. He also provided material for other journals including the London based Die Zeitung and over 80 covers for the New Yorker. 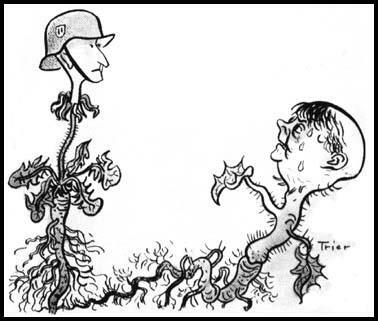 Walter Trier, Two Weeds: the Creeping Quisling and the Common Heydrich. During the Second World War Trier helped the Ministry of Information with anti-Nazi leaflets and political propaganda drawings. He also contributed cartoons to The Daily Herald. 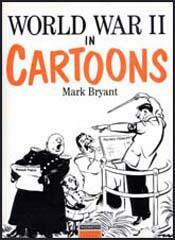 In 1945 he was commissioned to produce caricatures of delegates to the United Nations. Trier emigrated to Canada where he designed advertisements for Kilk & Kam, Maple Leaf Cheese, Domestic Shortening, Quix Soap, Imperial Life Insurance and York Peanut Butter. Walter Trier died in Collingword on 8th July 1951.